We are currently out of the workshop. All incoming orders will be proceeded from Monday 26th of February onwards. 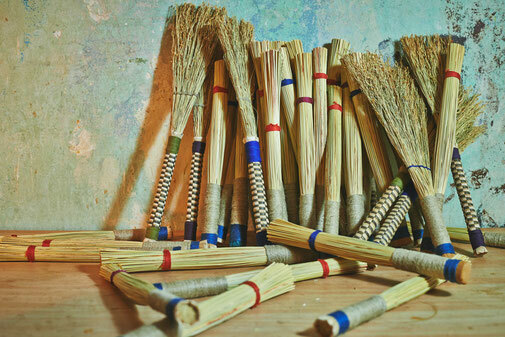 Here you will find a great variety of versatile brooms for many purposes. 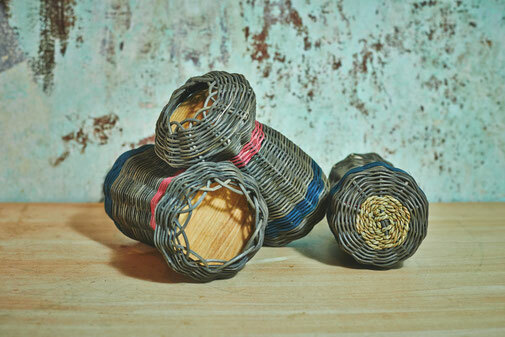 They are all hand crafted and made from natural robust fibres. You can expect an unique sound and balanced weight for an effortless playing. Different models of Shakers. Designing them we particularly payed attention to the handhold being pleasant and facilitating many playing options. They invite you to be creative. The Double Compartiment Shaker comes with cherrystone and granite pebbles. The hourglass shaped shakers have a longer sustain and are less precise. They will be available in pairs or triples, each set different intervals. A lute-bridge-harp from West Africa. Warm and comforting sound. Mostly pentatonic tunings. An instrument easy to start with and endless possibilities for mastership. If you want to play the instruments before you purchase them, you will be able to do so in the following cities. Please ask for the instruments! Might be that they are currently sold out.